Members of the Newspaper Guild of Pittsburgh are handing out flyers in Downtown Pittsburgh this morning outside the Omni William Penn where publisher John Robinson Block is speaking. 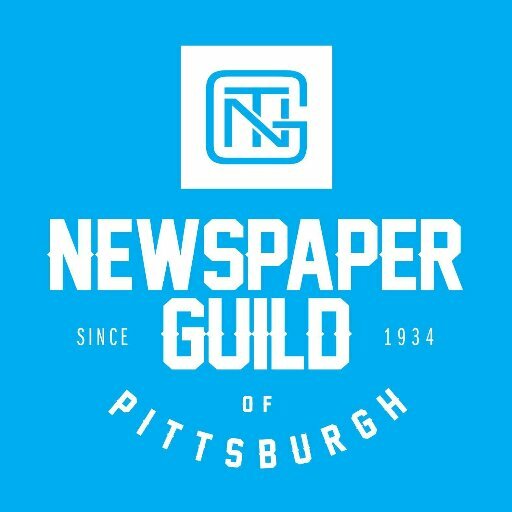 Guild President Mike Fuoco is being interviewed by @905wesa about @PittsburghPG’s labor situation. Here @KDKA is interviewing Guild President Mike Fuoco about our labor situation. Guild members are hard af work leafleting this morning in pursuit of a fair contract with @PittsburghPG.